The town that this book takes place in is the headquarters of Black Madonna Honey. Can you name the book? All answers and comments are welcomed! Thank you Laura and Betty Jo! That sure was quick! 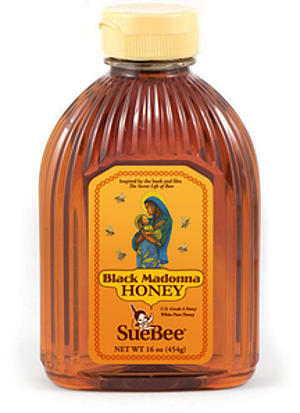 The Secret Life of Bees by Sue Monk Kidd takes place in Tiburon, S.C., the home of Black Madonna Honey! The Secret Life of Bees was a wonderful read and was made into a movie starring Dakota Fanning, Queen Latifah and Jennifer Hudson. It’s The Secret Life of Bees by Sue Monk Kidd. It’s a fabulous book – one of my favorites. If you’re reading this and haven’t yet read it, do yourself a favor and put it on your list. And have some tea and honey while you’re at it. Check out The Dry Grass of August by Mayhew. I really enjoyed this novel about a teenage girl’s relationship with her family’s maid and her family’s dynamics. The book reminded me of The Help. Let me know what you think. Thanks for the recommendation. I will definitely check out The Dry Grass of August! Laura and Betty Jo, You are BOTH correct. The Secret Life Of Bees is the answer! Thank you Friday Morning Book Club for the copy of INCENDIARY. I found it to be brutal, but so compelling and well written that I completed it in two days. I’m not sure I would recommend it unless you’re able to distance yourself emotionally from what you read. Hi Mary Ellen! I am half way through Incendiary and yes it is a compelling and heart wrenching book! I too am having a hard time putting it down.